Kita sering menemukan soal bentuk written expression dalam soal bahasa Inggris seperti TOEFL, TOEIC atau bahkan tes untuk masuk sekolah kedinasan. 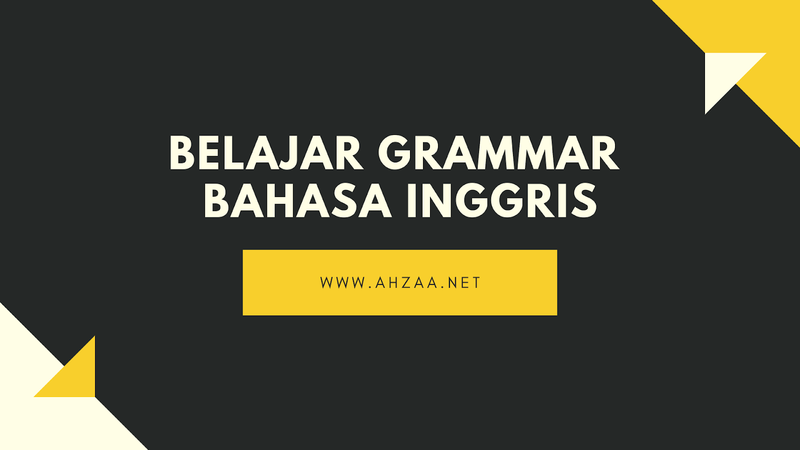 Soal tipe ini lumaan berat karena menuntut kejelian kita untuk menjawab dengan keahlian grammar yang dimiliki. Ciri- ciri soal tipe written expression, setiap kalimat memiliki empat kata atau frase yang digaris bawahi. Kata atau frase yang digarisbawahi di tandai dengan (A), (B), (C), an (D). Salah satu dari kata atau frase tersebut "salah", dalam artian harus diubah menjadi pola yang benar agar supaya kalimat tersebut menjadi tepat. Sebagai contoh berikut ini adalah soal tipe written expression. All of the (A)students joining (B)the program has (C)contacted Mr. Bahar (D). Dalam soal tersebut, bentuk yang tidak tepat terdapat pada pilihan C, karena soal tersebut berlaku bentuk Concord Agreement, subject dalam kalimat tersebut adalah all of the students (jamak) karenanya, verb dalam kalimat tersebut harusnya adalah "have contacted"
Nah, untuk lebih memahami tentang bentuk soal written expression dalam soal bahasa Inggris, seperti biasa akan saya sediakan latihan soal tentang bentuk tersebut. 1. There(A) was a spoons (B) on the table(C) in the big kitchen(D) last night. 2. Some children always goes (A) swimming to (B) the swimming pool (C)on Sundays (D). 3. What (A)he wants (B)to do right now is(C) to drink some waters (D) and eat some food. 4. Does John (A)usually visits (B) her on (C) Saturday every (D)month? 5. Our teacher told (A) us that there (B) would be a newly (C)student in our class (D). 6. Mrs. Jack likes (A)watching TV, cooking(B) certain food (C), and listen to the radio (D)in her free time. 7. He is going (A)to the bookstore (B)tomorrow because he needs (C)a new dictionaries (D). 8. Both John or (A)Paula go to (B)campus by (C)car every day (D). 9. I am going (A) to the airport (B)this evening to pick (C)up a my friend (D). 10. The harder (A)the students learn (B)English the good (C)their English proficiency will be (D). 11. These book (A)were borrowed (B)by Peter from (C) the library yesterday (D). 12. Who (A)is a most (B)beautiful girl (C)in your (D)class? 13. He wanted to know (A)when the construction (B) of a Suez Canal (C)was finished (D). 14. My friends (A)and I like (B)Margaret because she always (C)study hardly (D). 15. The protection (A)mother wants (B)to know where (C)her children go (D). 16. I am still (A)thinking of whom (B)car I am going (C)to borrow(D). 17. J.K. Rowling is (A)famous with (B)her best (C)selling novels(D). 18. My friend's (A)sisters are (B)very politeness (C), kind (D)and generous. 19. The (A)researchers from (B)Australia is conducting (C)a research (D)here now. 20. There was (A) five men who (B)came here last (C)week to meet him (D). 21. I tried (A)hard to open (B)the stuck (C) door by push (D)it. 22. Bob, with (A)his friend (B)Alex, always go (C)swimming on Sunday mornings (D). 23. My (A)sister likes (B) dancing, singing (C), and play (D) the piano. 24. Neither Mr Andy or (A) Mr. Billy knows (B)where they (C)can meet (D) professor Bakrie. 25. Certain (A)movements used (B)in reading is (C)actually unnecessary(D). Demikian latihan soal bahasa Inggris bentuk Written Expression, semoga bisa membantu anda yang sedang memerlukan latihan tes bentuk tersebut. Jangan lupa tuliskan skor pencapaian di kolom komentar ya..